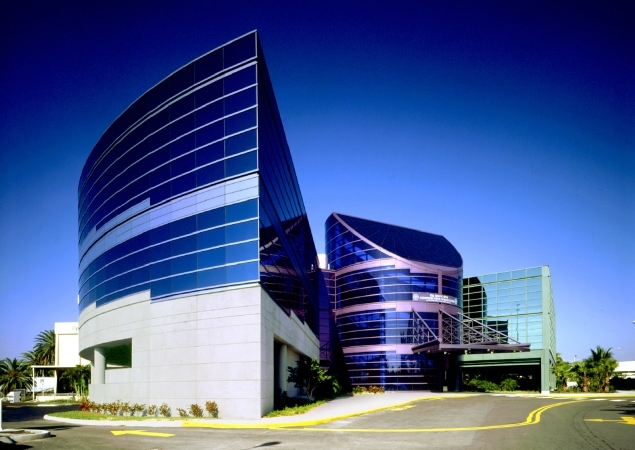 This 60,000 SF comprehensive outpatient cancer diagnostic & treatment center is part of the Mount Sinai Medical Center campus. The four-story glass enclosed facility is designed to maximize natural light and to capture the panoramic ocean, sky and city views. 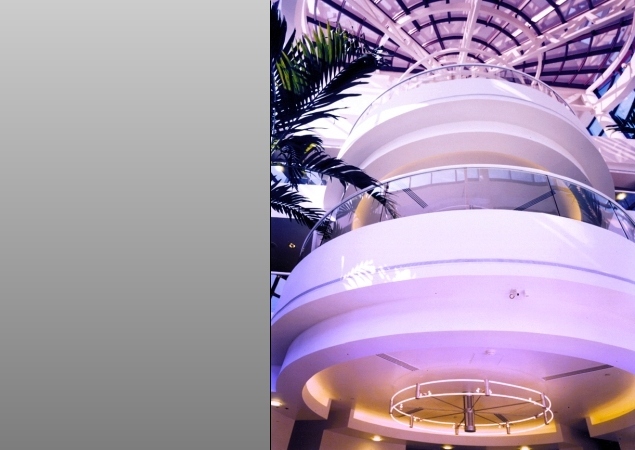 The interior elevator lobbies and waiting areas are connected on all levels by a four story central atrium. 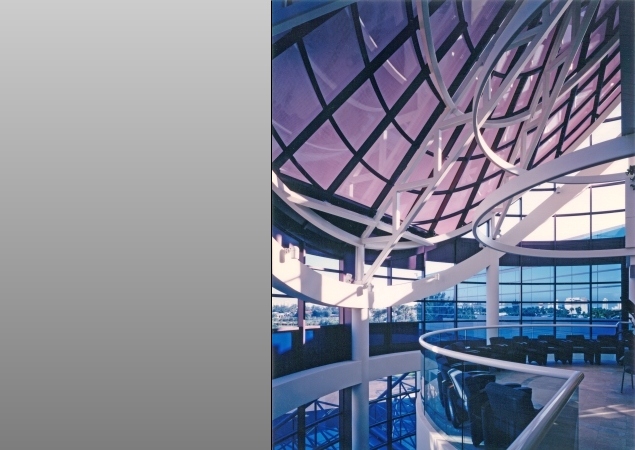 The modern structure consists of three distinct geometric shapes: circular, rectangular, and curvilinear. Each is concrete-framed and sheathed in multi-colored glass panels. 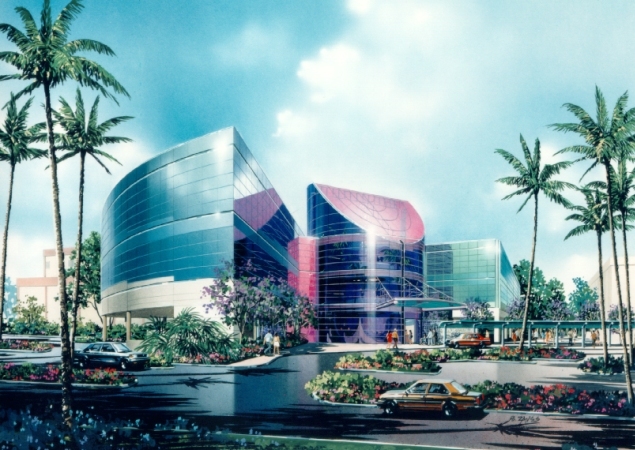 The curved and interlocking masses of the building, the suspended canopy design and green, pink and purple tinted glass is a contemporary reflection of the Art Deco idiom which is prevalent in Miami Beach. 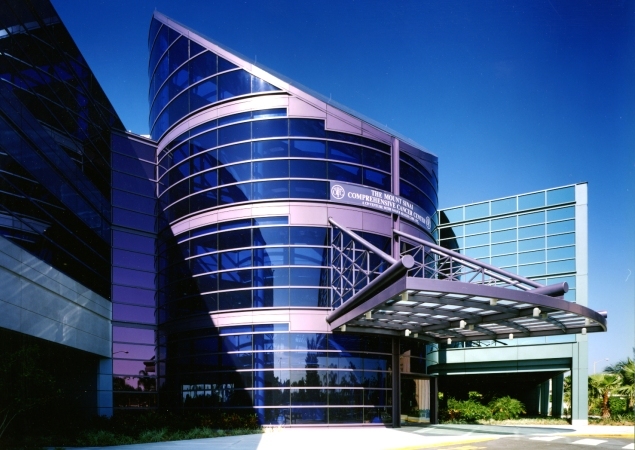 Through the extensive application of glass exterior cladding, natural light is maximized. The high performance reflective colored glass acts as a 3-dimensional screen where the constantly changing patterns of sun and clouds, as well as the reflection of the ocean, are displayed both inside and outside the building. 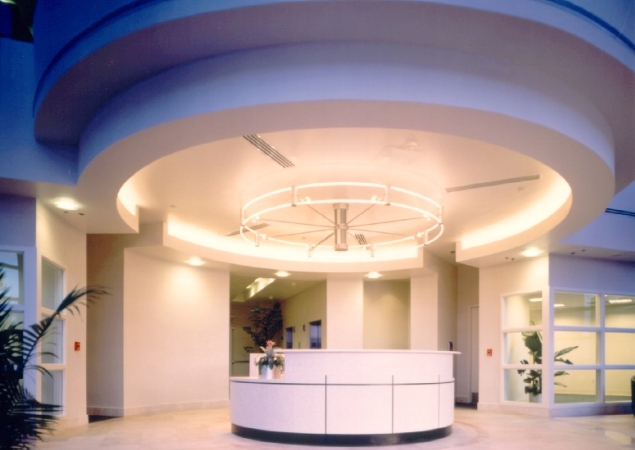 The first floor reception area of the cylinder is a four-story open atrium topped by an elliptical skylight and surrounded by open balconies on all floors. 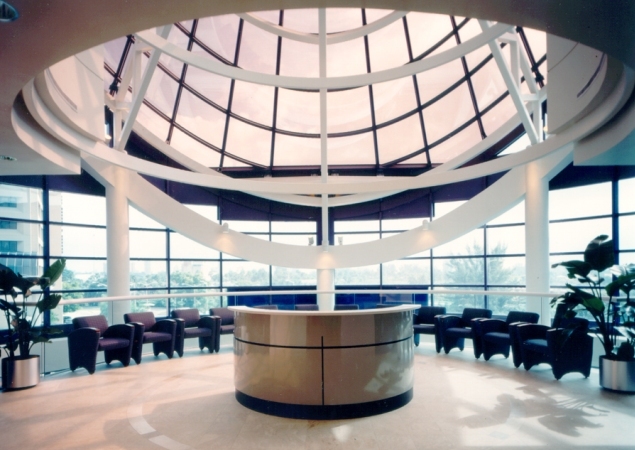 The fully glazed 60-foot high circular central lobby directs light into the main reception and public spaces and laterally into other adjoining patient areas. A major design challenge was to address the periodic severe weather conditions of Miami Beach. The structure is designed with high-strength laminated glass and heavy-duty framing and structural support systems to withstand hurricane winds of 170 miles per hour.